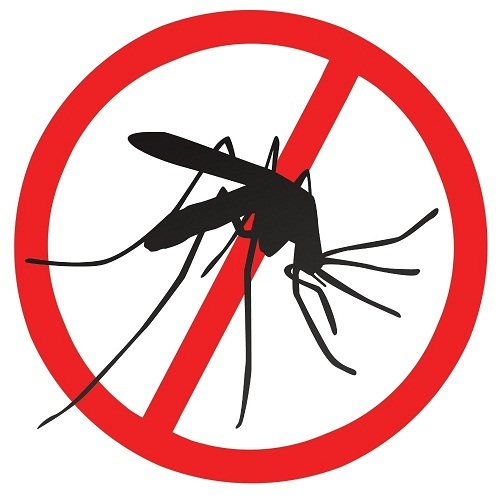 Mosquitoes are a nuisance at any time of the year, but they are often seen in mass numbers in the spring and summer. They bite almost every area of skin that they land on, and they can sometimes carry diseases depending on the region of the country you live in or if you’re visiting a certain part of the world. There are a few things that you can do to keep the small pests away from your home and family. Mosquitoes like standing water. Try to remove any containers that are around the home that have water in them so that the insects won’t have a place to breed. Common areas where water collects include flower pots, old tires and trash barrels. You should also remove old lids from the yard and toys that have containers with them as these can collect water as well. Make sure you clean out birdbaths and other areas around the home that are supposed to have water in them so that the containers are as clean as possible. Light a flame while you’re outside. Most mosquitoes don’t like the heat that is given off from the flame. You can get citronella candles that have a scent that repels mosquitoes. It’s best to place the candles on a patio table or even get a tall stand that can hold several candles at one time. If you live in an area that sees a high number of mosquitoes, then you might need to call in reinforcements. A pest control company, like albany.mosquitosquad.com, can come to the home and spray around the house to keep mosquitoes away. The products are safe for humans, but the insects don’t like them, making it an ideal solution for eliminating large numbers of pests at one time. If there are cracks around windows or underneath doors, then you might want to get a treatment for the inside of the home as well. Whether it’s oil or leaves, you want to keep lavender around the home. Add a drop to a long ribbon, and tie the ribbon to the ceiling to keep mosquitoes from the inside of the home. Combine about 30 drops of lavender oil to two tablespoons of vegetable oil, rubbing it on the skin as a deterrent to mosquitoes. They won’t want to land on the skin because of the scent that comes from the plant.